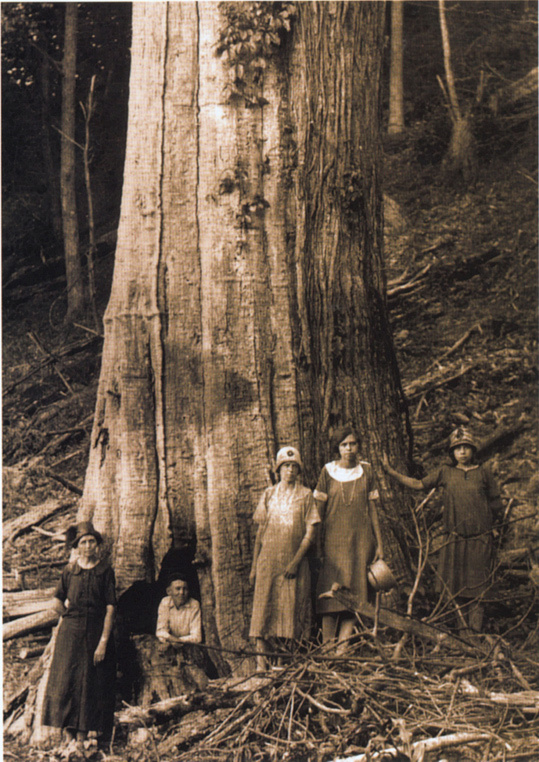 is a 'franchise' database of OLDLIST, a database of ancient trees and their ages. The purpose of this list is to identify and highlight maximum ages for species in eastern North America. This list will contain only well-verified or well-documentsd tree ages (see Technical Information below for further information). The oldest trees world-wide are typically conifers living in extreme environments (arid to semi-arid or elevational/latitudinal treelines, of whichthe oldest-known tree in the world, Pinus longaeva, lives in a combination of these extreme environments (Schulman, 1954). Eastern North America is generally warm and moist and dominated by broadleaf species. Maximum tree ages in this region are often much less than other regions (though see ages for Thuja occidentalis, Taxodium distichum and Juniperus virginiana). As a result, maximum ages in this diverse and mostly temperate environment are often overlooked. Most of this documentation of tree age listed here were dereived through tree-ring analysis over the last few decades. Crossdated ages are derived through recognized dendrochronological procedures (e.g., Stokes and Smiley 1968; Swetnam, Thompson, and Sutherland 1985; Schweingruber 1987). 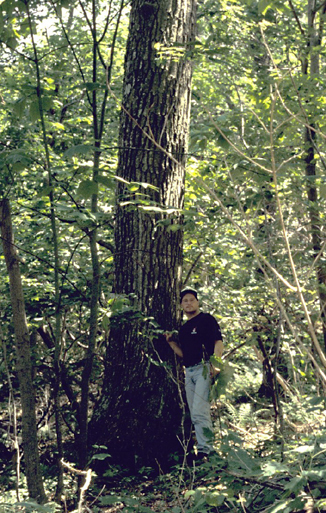 For a crossdated age, there should be no question of the age of the portion of the tree sampled, except in any portion of the ring series not confidently crossdated with either other trees at the same site or other sites in the area. Ring-counted ages are derived by simple ring counts and may contain errors in age due to missing or false rings, suppressed areas, or other tree-ring anomalies. "Age" in these first two types will invariably be a minimum age rather than true chronological age owing to the difficulty of sampling a tree exactly at the point of germination. Extrapolations are ages derived by regression from age/size relationships (e.g. Stephenson and Demetry 1995) or other mathematical or graphical methods. Ranges of ages derived by extrapolations are welcome and can be accommodated in the database. Some tree ages, such as the Lutheran Theological Seminary scarlet oak in Philadelphiaa, PA, are well-documented through the written record. These historical ages are based upon historical reference to the tree. At present, OLDLIST contains only one historical age, that for Ficus religiosa at a Buddhist Temple in Anuradhapura, Sri Lanka. A continuous historical account of four trees planted there in the 3rd century B.C. has been kept (letter to R.J. Hartesveldt from Ambassador of Sri Lanka in the USA, December 15, 1972). An individual tree may have up to two entries in the database. For example, a tree may have one entry for the age of a crossdated radial increment core and a second for an extrapolation age to a possible pith or germination date.